Just this morning (Wednesday), Reuters reported on these "secret loopholes" and how they are now coming to light thanks to anonymous officials involved in the original negotiations that took place on July 14, 2015. These individuals relayed their information to the Washington-based think tank, Institute for Science and International Security. 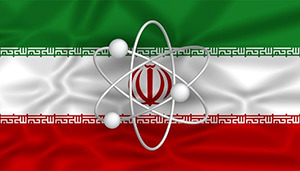 A senior official cited in the think tank's report told Reuters that if world powers – the United States, Russia, China, Britain, France, and Germany – hadn't agreed to this exemption, then some of Iran's nuclear facilities wouldn't have been in compliance with the accord's Jan. 16, 2016, deadline. And a missed deadline meant ongoing economic sanctions for the Middle Eastern country. So, President Barack Obama and his global negotiating friends allowed for the "unknown quantities" of 3.5% LEU contained in liquid, solid, and sludge wastes stored at Iranian nuclear facilities, reported Reuters. The original agreement had restricted Iran to stockpiling only 300 kg of 3.5% LEU. It allowed Iran to operate 19 radiation containment chambers larger than the agreement had set (the original numbers weren't identified). These chambers are called "hot cells" and can be "misused for secret, mostly small-scale plutonium separation efforts," reported Reuters. Like Uranium, Plutonium is another nuclear weapons fuel. Under the condition of anonymity, a White House official spoke out in response to the reports that world powers had allowed these exemptions to take place. The source stated the joint commission and its role were "not secret." However, he failed to address the deal's exemptions. According to Albright's report, President Barack Obama and his global negotiating partners told Congress of the exemptions on Jan. 16, after they had already been granted. Congress was sent the confidential documents that very same day. And now the public is being made aware of these loopholes nine months later, which doesn't do Tehran's or the Obama administration's credibility any favors. The U.S. government, chiefly the POTUS, looks bad for keeping such information a secret from not only the public, but from Congress as well. News that the exemptions had been made without legislators' knowledge punctuates just how divided the U.S. government truly is. And as far as Iran's image is concerned, Money Morning Global Energy Strategist Dr. Kent Moors notes that the country's economy is still in shambles, no matter how easy its global trading partners have made it for them to try and claw their way back to stability. "Arab Spring II is approaching," Dr. Moors wrote on Aug. 24. "This one is going to get ugly. Even the Saudi push to rein in production towards the end of the year (rather than soon, in Algiers) will be too little, too late." And more unrest in Iran and other OPEC-member countries will have huge implications for the region and for the global energy markets as a whole. If this Iran deal is so good, why is the administration doing all of this in secret? The answer is simple: because it knows that allowing Iran to inspect itself, paying ransoms for hostages, and watering down an already-weak agreement so Iran can remain in compliance and get its $100 billion in sanctions relief and $400 million ransom payment would not withstand public scrutiny.